Compact high performance machine takes the strain out of inserting eyelets. Sets sizes up to 14mm hole diameter. Back stop for accurate placement of work. Available with its own bench if required. 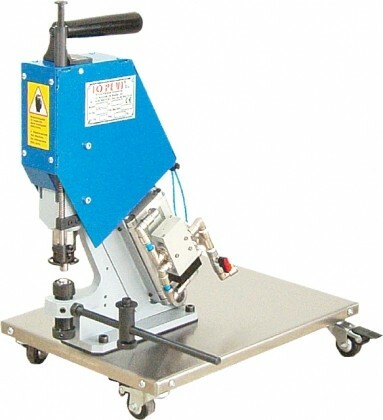 Can mounted on castors for moving around the floor/ table when working with very large pieces of material. Small enough to be operated from behind. We can even supply an appropriate compressor if required.